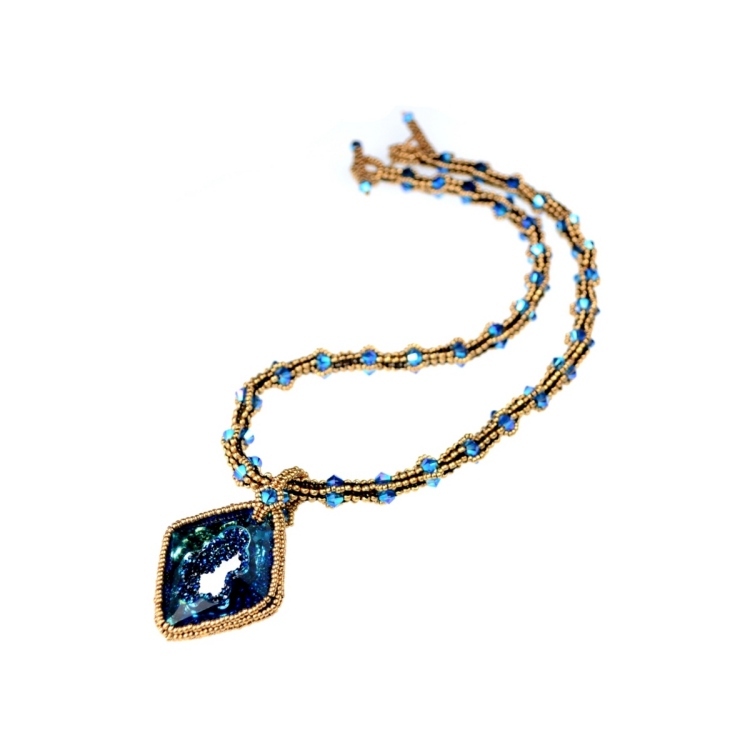 This necklace has a striking Swarovski crystal as its centrepiece with a specially designed rope and bail. You can see a variation on the necklace here. This project is a class I teach.